Since making its appearance in the American auto market, the Alfa Romeo Stelvio has won the hearts of consumers and the auto industry alike. Inspired by Italian design and racing history, the Alfa Romeo Stelvio awards are well-deserved, albeit without surprise. The infatuation with the compact, all-wheel luxury crossover has been made evident with the awards it received. Boasting more than curb appeal and a design that is unapologetically Alfa Romeo, the Stelvio lineup has earned each award received. 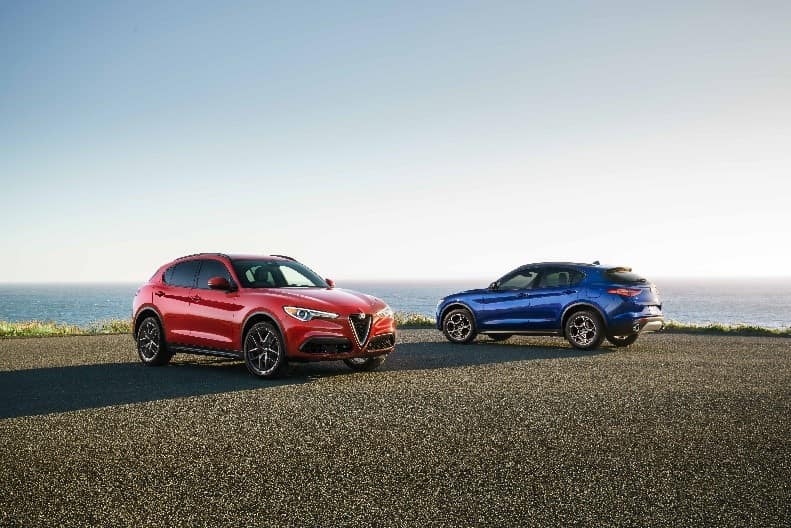 During the annual Run to the Sun held by the Northwest Automotive Press Association, the 2018 Stelvio Quadrifoglio impressed the judges with its powerful engine, intuitive handling, Italian-inspired design, and was ultimately named Most Fun to Drive. “Enthusiasts that dismiss crossovers simply haven’t driven this Alfa. The Stelvio Quadrifoglio plugs directly into your synapses in a way few sport sedans manage to do” Tom Voelk, Driven, said about the Stelvio Quadrifoglio. Vehicles that were entered in the competition vied for the title of Most Fun to Drive in addition to four different categories: Northwest Most Fun in the Sun (Convertibles), Most Fun Coupe, Most Fun Sports Sedan, and Most Fun SUV. Participating judges were asked to decide which vehicle they would choose for themselves based on their experience and what they learned during the 527-mile route. The course passed Mt. Hood before heading south to Sisters, Oregon, then headed east to Shaniko before returning to Mt. Hood. The final day of the journey was spent in Mosier Curves in the Columbia River Gorge before heading into Washington for the final leg of the trip into Portland, OR. At the end of the journey, the Stelvio Quadrifoglio was named overall champion. The Stelvio took home the title of Crossover of Texas, in addition to Luxury Crossover of Texas and Most Drives honors from the Texas Auto Writers Association (TAWA). A total of 64 pickup trucks, SUVs, crossovers, and commercial vehicles were entered in the competition where 75 TAWA members were in attendance. After two days of off-road and on-road evaluations, the members submitted their votes. The Stelvio trim levels include features for every Alfa Romeo enthusiast, making it a clear winner of the Crossover of Texas award. Awards are based on considerations that include exterior and interior styling, off-road capabilities, in addition to overall value and performance. After driving and reviewing approximately 450 models available to date, Car and Driver narrowed down a list of 2018 Editors’ Choice winners. The winners are considered the best cars, pickup trucks, crossovers, and SUVs for 2018. Among the top crossovers is the Alfa Romeo Stelvio Quadrifoglio. The Alfa Romeo Stelvio exudes world-class performance, state-of-the-art technologies, seductive Italian-inspired styling, and offers an exhilarating driving experience. Visit Alfa Romeo of Albany to find the perfect model for you.